Salvador Dali The Reign of the Penitents is a woodblock print. It is from the Divine Comedy book. It is Purgatory #1 and is the first step out of Inferno. There were 4765 French edition books printed, so that means there are many more than 4765 of this print. This is because some of the books have sets of extra prints. If you like the print, buy it. Don’t think it is an investment. 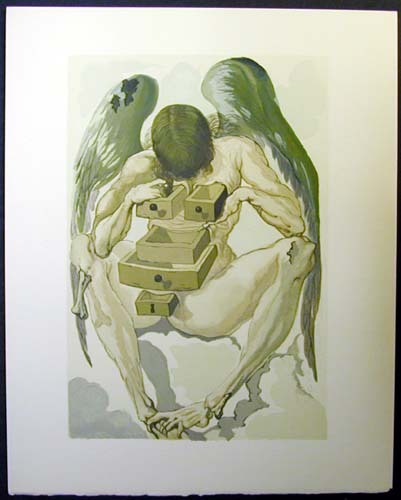 1) The individual Salvador Dali The Reign of the Penitents woodblock print is Available.